The foundation is taking its first steps towards co-financing and further collaboration with other partners. A draft proposal for a policy was created. Agreement was ageed about the new TCF- policy 2013 – 2015. Agreement was agreed about the General and Financial Annual TCF - report 2012. Financial contribution was made to publication of: “Een vrije geest tot zwijgen gebracht, Jan Eisenga”. Started preparations to official launching of the DASA website and drafting a deployment plan. Components of ATCHA website were handed over to Mutual Cultural Heritage team of the National Archives of the Netherlands. Presentations were held by TCF of Archive Management System for DASA at ANRI. Farewell has taken place of departing Director- General of the Arsip Nasional republik Indonesia Mr. M. Asichin. A profile was drafted for a new chairman of TCF. Meeting took place of Program Board DASA and Advisory Board in Jakarta. Implementation started of the continuation project Senshi Sosho II. Delivery and implementation of second A-1 Omni- scan high volume bookscanner of Zeutschel for the DASA project. Preview was presented of the DASA website on National Archives day in Indonesia. An agreement was reached in the board about the new CCC- policy for the period 2013 – 2015. General and Financial Annual CCC- report 2012 was accepted. A profile was drafted for a new treasurer for the foundation. At the SARBICA conference held in the Hotel Savoy Homann in Bandung Indonesia, the website www.sejarah-nusantara.anri.go.id was officially launched. With the help and support of The Corts Foundation the Arsip Nasional Republik Indonesia successfully implemented the process of digitizing and publishing handwritten Dutch documents of the 17th and 18th century. In the coming years this website and its content will expand en enhanced to provide access and research facilities to anyone interested in the history of the Indonesian Archipelago and its archival heritage. On Friday, 27 September 2013, the National Archives of the Republic of Indonesia (ANRI) and The Corts Foundation together launched a website on the history of the Nusantara, the old pre-colonial name for the Indonesian Archipelago. This website is aimed at everyone who is interested in the early modern history of Indonesia and Southeast Asia. For researchers the site offers detailed and searchable databases. These collections are preserved in the Archive of the Dutch East India Company (VOC), which in 2004 was accepted onto the UNESCO Memory of the World register. They thus have a protected status. Sejarah Nusantara (History of the Archipelago) is the result of a long-standing cooperation between the ANRI and the Corts Foundation. 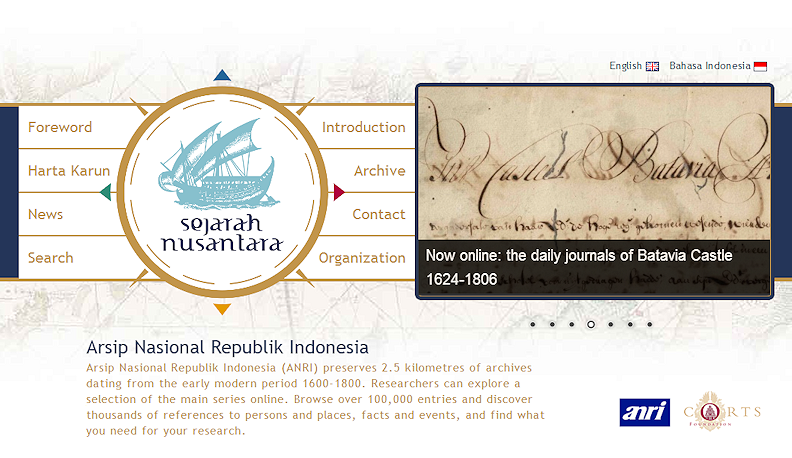 Sejarah Nusantara is an official website which can be accessed via www.sejarah-nusantara.anri.go.id. The ‘Daily Journals of Batavia Castle’ (1624-1807) form the first part of the digitalized VOC archive. This is a source of some 80,000 pages, which are of great importance for the history of the Nusantara and Southeast Asia. Thousands of documents originate from Asians. 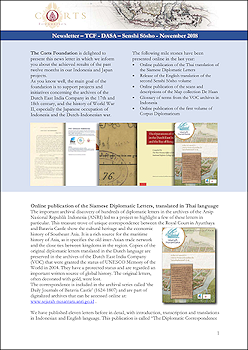 The ‘Daily Journals’ contain hundreds of letters of the susuhunans (rulers) of Java, the Maluku sultans, the kings of Siam, and the rajas of Cochin. It is also a rich source for the national and international history of the Indonesian archipelago. The Nusantara had at this time important political and economic links with China and India. A selection of unusual documents have been published online in the special ‘Hidden Treasures’ category (in Indonesian: ‘Harta Karun’). These documents have been translated both into Indonesian and English. Ten internationally renowned historians have provided the introductions. 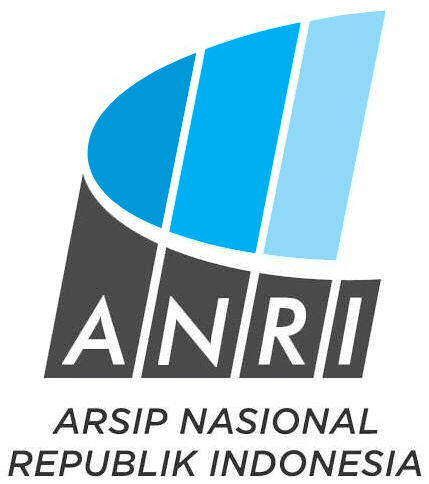 The ANRI is the national archive of Indonesia and is based in South Jakarta. 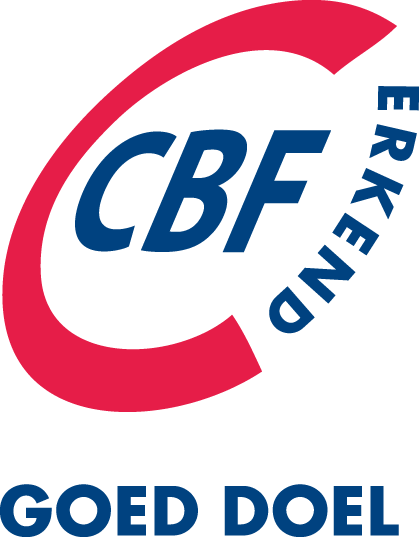 The Corts Foundation is based in Enkhuizen, The Netherlands. The Corts Foundation is a Dutch non- profit organization founded in 2003 with the legacy capital of Kees Corts, whose interest in the Indonesian history led to the support of many interesting projects.